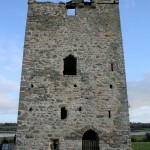 Ivor McElveen Associates, Historic Building Consultants and Conservation Engineering Services, recently used the Tiling Repair Technique during a recent phase of conservation and stabilisation works on the 15th century tower house. 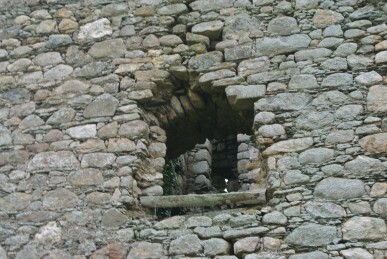 The tower house had experienced loses of cut stone comprising the window frames at some of the openings as well as further unravelling of adjoining rubble masonry. 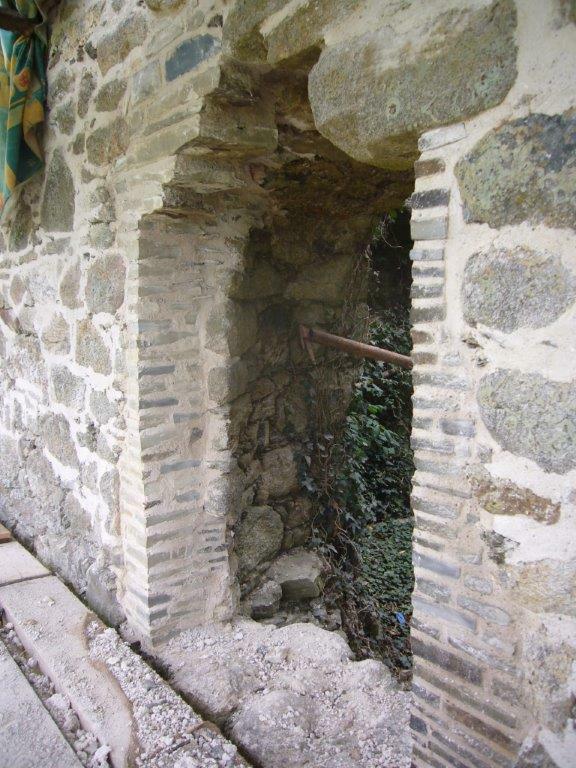 This resulted in the destabilisation of the surrounding masonry with risk of structural failure and further collapse. Due to a lack of information as to what precisely constituted the providence and design of the original cut stone and because of budgetary constraints, replacing the missing cut stone by replication was not practically. Further, any such work would have resulted in conjecture. Rubble masonry build-up of the void caused by the missing vertical cut stone, missing lintels and cills would have been archaeologically and architecturally incorrect. It would also have been structurally unsound. What was required was an insertion that would provide the same or similar structural support as the missing cut stone and at the same time look reasonably compatible, albeit an obvious repair. After careful consideration of the conservation philosophy to be adopted taking cognisance of the constraints, the tiling technique as advocated by the Society for the Protection of Ancient Buildings (SPAB) was chosen as the most suitable repair method. The photographs below illustrate the use of local thin flagstone as a substitute for tiling which provides structural columns in lieu of the original cut stone creating the window frame, and giving the desired structural strength. The lintel support was created by cantilever detail. The insertion created is totally reversibility and can be replaced with original material when funds and information are available. 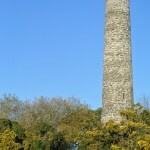 The advantages of this technique is that the necessary structural support is provided, the new materials which are easily identifiable are sympathetic to the existing structure, and records of their placement and composition have been retained so that future repair materials can be repeated or modified. It is also a cost effective, workable and reversible honest repair. The Tiling Repair Technique has been widely used in the UK at Guilford and Wolvesey Castles in Winchester, amongst others and widely adopted by English Heritage, and on deteriorated limestone in King Herod’s Northern Palace, Masada, Israel. 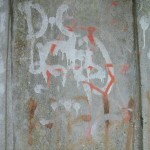 It has also been more recently used on All Saints’ Church, Ockham, Surry, as shown below. 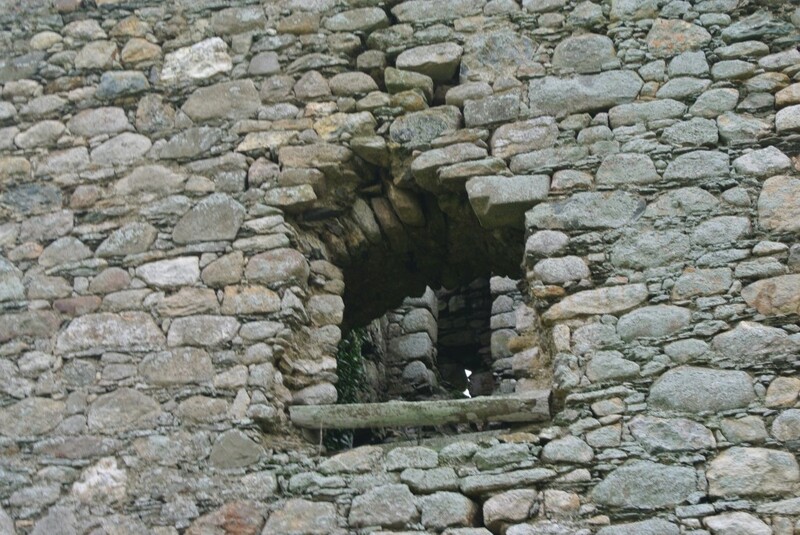 Many of the cut stones which would have framed the largest of the windows on the western elevation were missing and required replacing or consolidation to prevent any further loss, structural failure and collapse. Since the original fallen cut stones were missing and, therefore, had no evidence of their form; in line with the adopted conservation philosophy the tiling repair technique with grey slate and traditional lime mortar was used to consolidate the opening. The flags were cut and fitted (slightly recessed from profile of original stonework) without disturbing any existing stones and provided independent structural support as the original cut stone frame.